We’re Going on a Job Hunt, We’re Gonna Catch a Big One! After a long settling down to Big Girl life (although permanent home status = nilch — eek! ), it’s time for another entry. What is this Big Girl life I speak of? Employment! I am now a Youth Services Librarian at Fremont Public Library. My brain has officially been released onto the world of youngins and their caregivers. My excitement and enthusiasm abounds, blah blah blah. This post is not about how I want to frolic through the stacks, giving high fives to patrons as I pass. No, I want to share my job search story for those that are looking for employment NOW. Mainly, I’ll highlight CURRENT electronic resources (that quickly go outdated) and I’ll touch upon a few other useful tips that landed me this job. I will be addressing future youth librarians (children and teens) but any other job seekers feel free to read on. I had a rather unique job search beginning. Starting my first semester in library school, I used the ALA JobList website and its invaluable listserv. I would read articles, gathering tips here and there. I didn’t retain all that information but I began to see trends in job search preparedness. The unique part of my search began with my role as President for the American Libraries Association and our initiation of the SLIS CareerCon. Over 3 days, we provided 8 sessions on job search tactics. 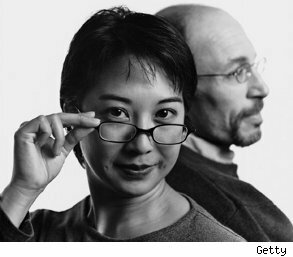 We pulled professionals in varying library fields including academic, public, and special. By attending these sessions I learned effective resume & cover letter formats, networking, interview, and negotiating tips. If you are ever given this opportunity, GO! Especially if it’s free. If you’re looking for a paid session, make sure that it is specific enough to your job seeking needs. From the CareerCon, several public librarians said that the best place to find jobs is to look on each individual library website. For me, that sounded impossible. There had to be a more effective way! (Although, now that I think of it, I suppose I could have created an RSS feed of each library’s job board. But still that would taken soooo loooong). In November 2011, I started building a bridge back to Illinois, my home state. I found children’s librarians in the Chicago suburbs and emailed them, asking if they would like to be my mentors. I was astounded with the positive responses and I am glad to have them all for many years to come. Throughout my job search, I received valuable monthly advice and great support that encouraged me to push hard through the job search. One mentor led me to one Illinois library system called RAILS: Reaching Across Illinois Library System. I found 8 full-time postings for teen and children’s librarians. Amazing! Without their jobs board I would have been floundering in the water looking for a job. Another useful website is I need a Library Job where I found that many states have job databases, although some may update more frequently. I used the Colorado State Library job bank but only found two applicable jobs. All in all, these state library websites are uber helpful! One more thing, SAVE THE JOB AD. You’ll use it to prep your resume, cover letter, and interviews. It may not be online anymore when you most need it. No matter how often I prepared my resume beforehand, I always tweaked it for each individual job ad. There are wonderful articles out there on resume tips including “How Can Job Seekers Get Résumés Out of Your Trash and Into Your Heart?”, “Recruiters Share 10 Common Resume Mistakes“, and “The 5 biggest resume mistakes, and 5 simple solutions to fix them.” Here are a few tips of my own. Employers have hundreds of resumes to narrow down the field. If you do not include exact vocabulary terms that they used in the job ad, you may get passed up–even if you are qualified. Meet the core requirements. If you don’t meet these requirements, 5 other people applying DO meet those requirements and they will be chosen for interviews. It’s best to focus your time on jobs that really matter. Be concise. Keep in mind that you can elaborate on your job achievements and skills in the interview. Refine, refine, refine. Imagine you’ve read 50 resumes in one day. Would you feel overwhelmed if you had to read another wordy resume? Would you feel slightly annoyed by it? A wordy resume may not be a deal breaker but it could add to the negatives list. Phone interviews certainly are a blast. To the best of my knowledge, if you receive a phone interview, you are qualified for the job or the employer is willing to compromise on requirements that you may not have. 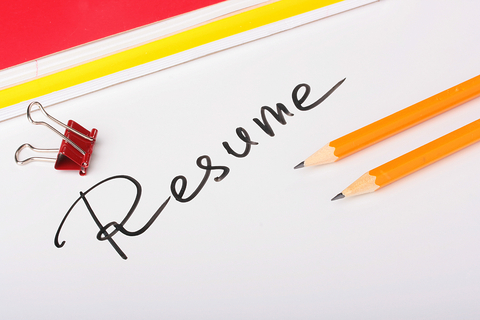 The employers want to know more about your resume–your resume which they already read. Elaborate on your skills, don’t repeat what they already read. NIU provides a general tip list of phone interview preparation. 1. How would you plan, prepare, and implement a program? OR Tell us about a successful storytime you put on. 2. What is your ideal workspace? 3. Have you put on an Every Child Ready to Read program and how did you connect with the caregivers? Hell yeah this lady’s gonna get a job. Especially with that guy behind her, looking off into the distance. Skype interviews should be treated the same as an in-person interview but there are a few unique tips for the online format. This SimplyHired blog post offers general guidance. You don’t want to be looking down or up to the computer because you might create an atmosphere of dominance or meekness. Set your computer on an even level with your eyes. I researched the library, looking at their Board Meeting minutes, awards, funding, and programs. I prepared at least one question regarding a topic specific to that library. When it comes down to it, SLIS students, you’re always preparing yourself for your job after school. At your internship or current job, ask if you can complete tasks and develop skills that you see in job ads. Keep a list of your accomplishments. Develop relationships that matter. Maybe they will connect you with your future employer. Sign up for listservs like the ALA Joblist Direct, even if you aren’t looking for a job right now. You might find information like free workshop below. Go forth and prosper! You can get a job now and I’m living proof. On Wednesday, June 13 at 6 p.m. Central time, ALSC will offer a free online workshop for all students interested in children’s services. Getting Your First Library Job: Showcasing Skills and Packaging Passion features advice from Thom Barthelmess, curator, Butler Children’s Literature Center, Dominican University, and Alison O’Reilly, director, Cutchogue (N.Y.) New Suffolk Free Library. Join us for discussion about marketing yourself as an outstanding children’s librarian and showcasing your professional assets.